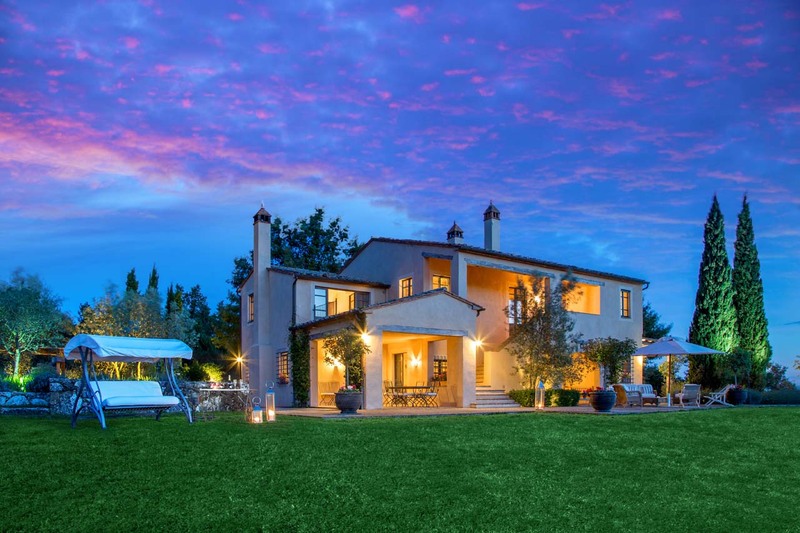 This stylish and luxurious house was designed and constructed by its first owner, a distinguished international landscaper and interior designer. 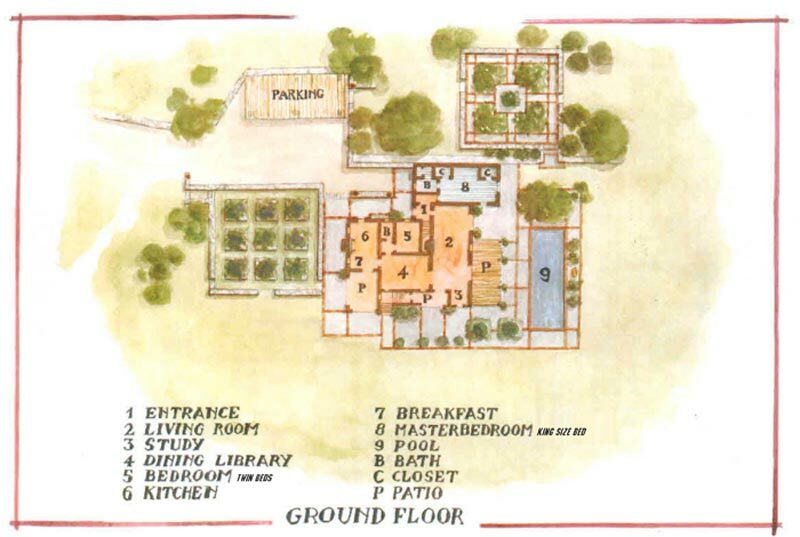 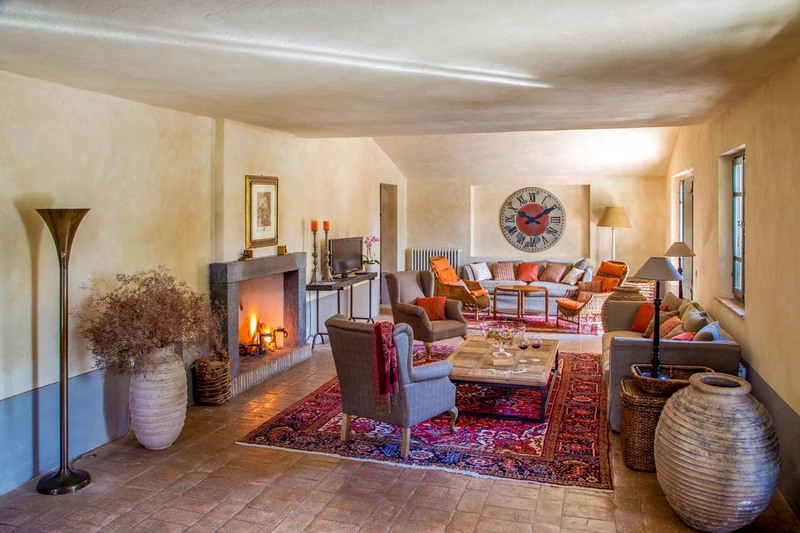 He built the house to resemble an old luxury resort in Tuscany, whilst providing all the modern amenities for extra comfort. 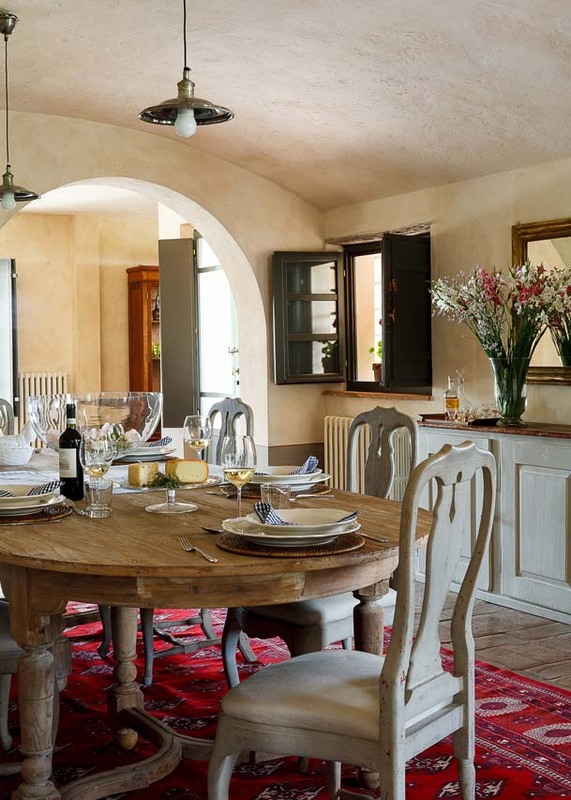 Much attention has been given towards the interior to give it an elegant touch, while maintaining the feel of a family home. 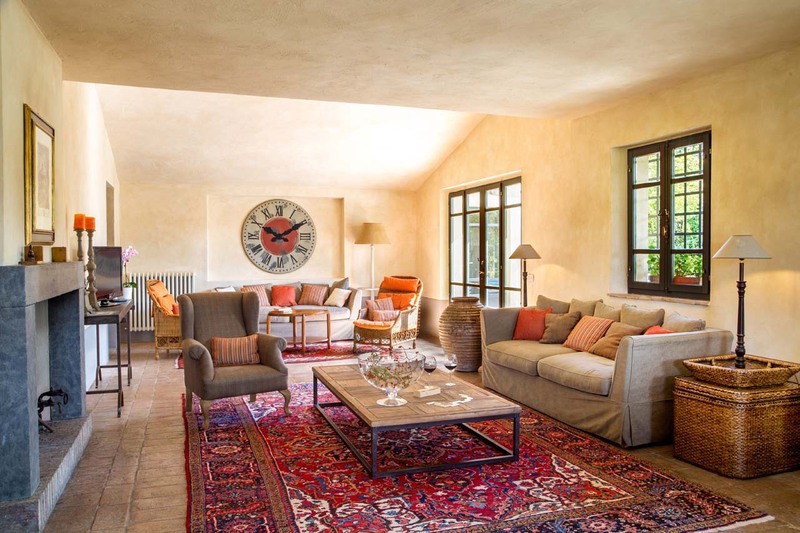 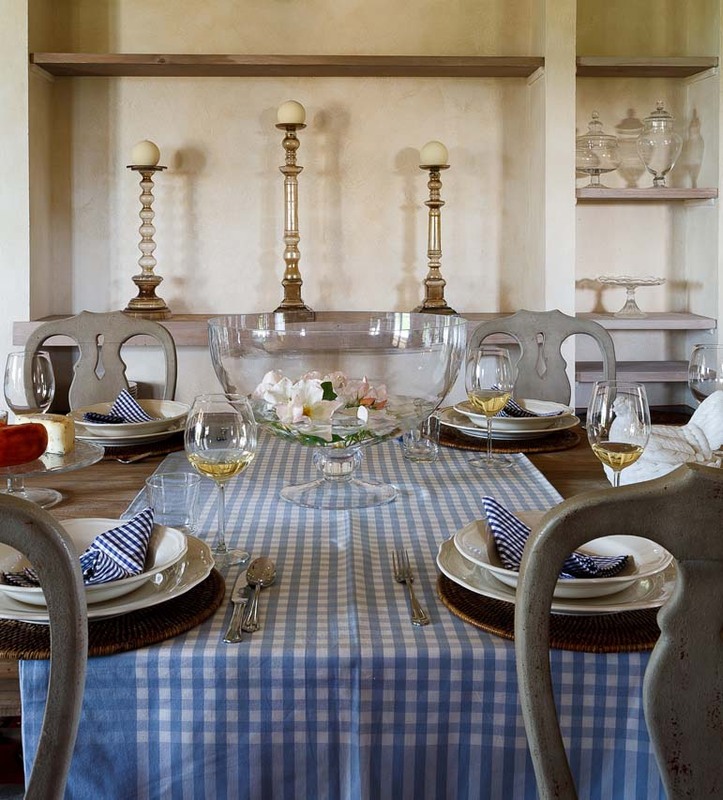 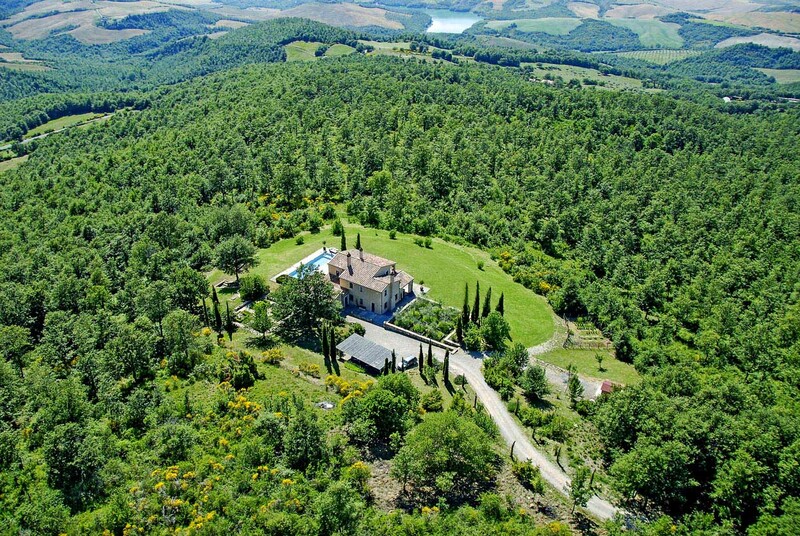 This Villa in Tuscany is for rent, furnished to the highest standards will appeal to the most discerning. 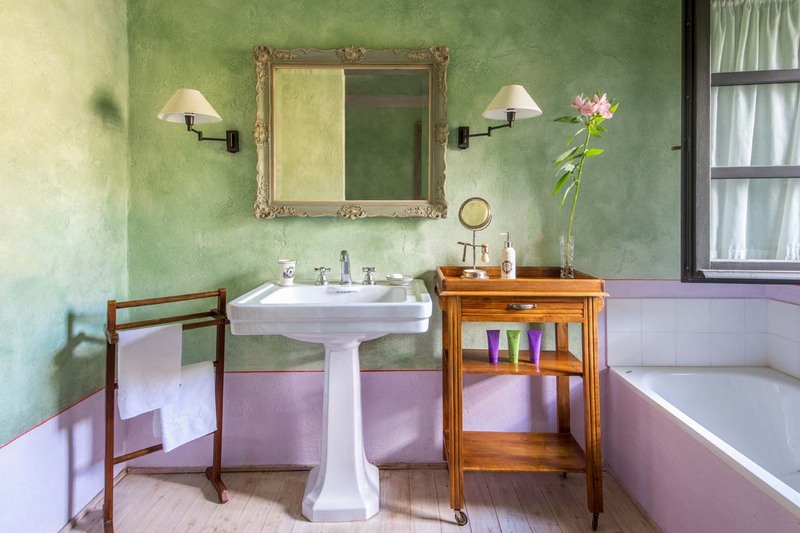 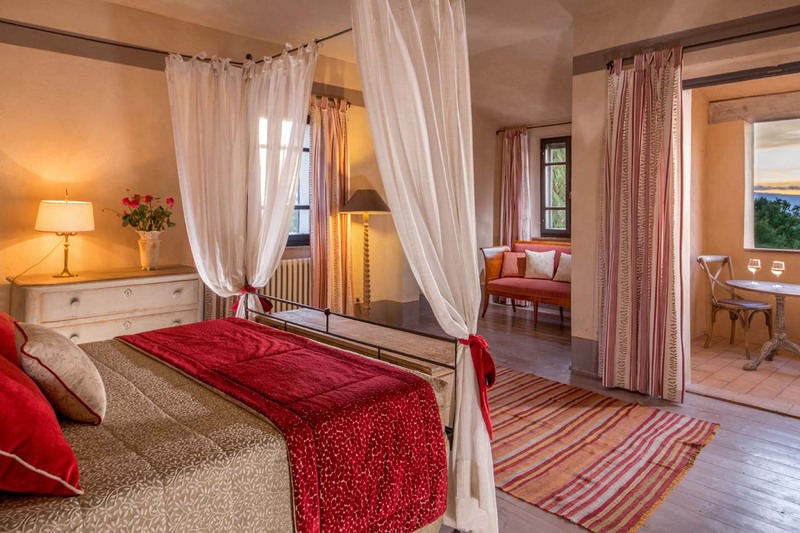 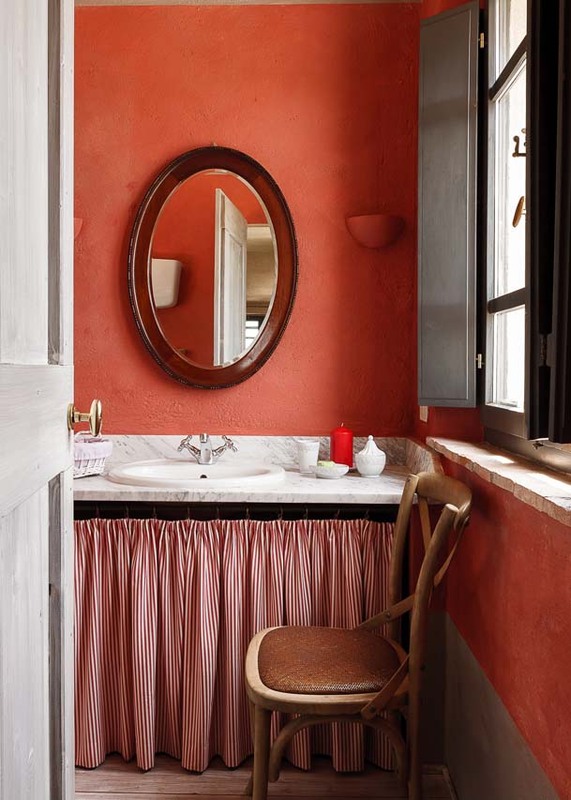 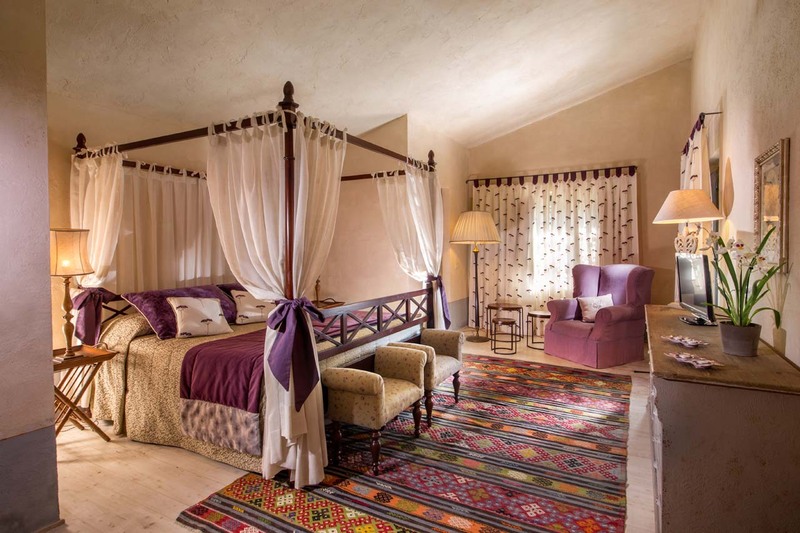 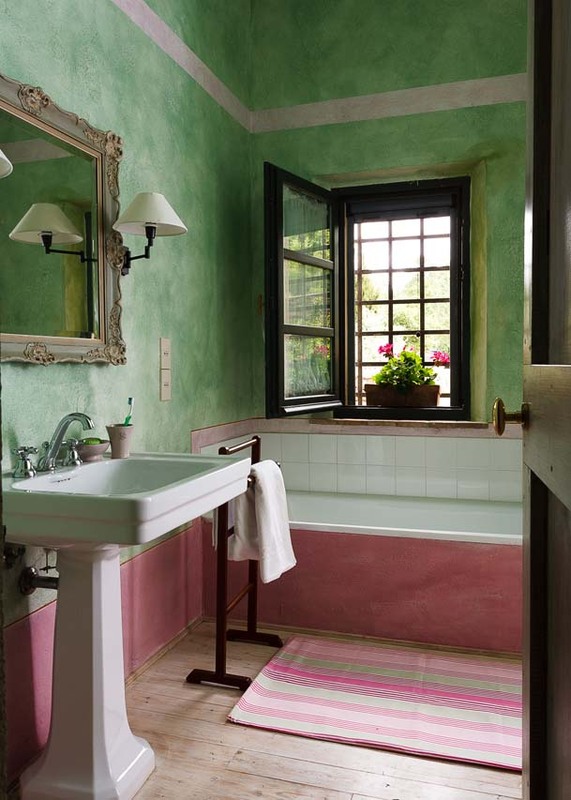 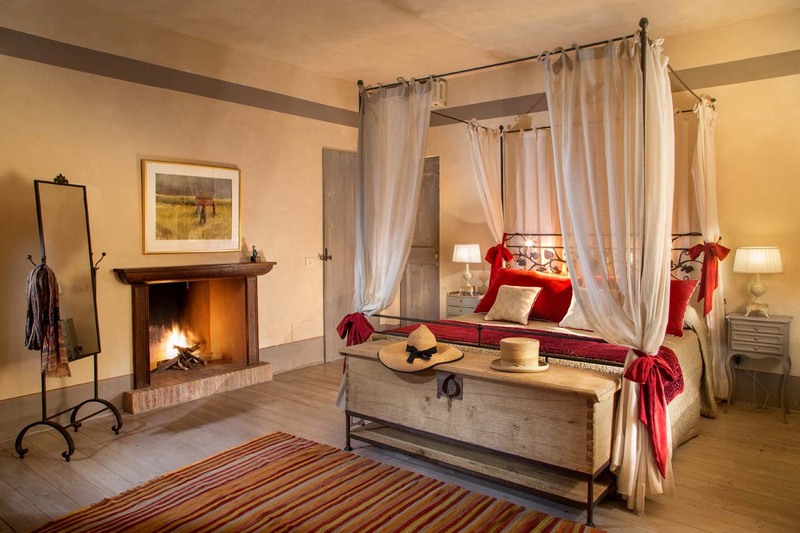 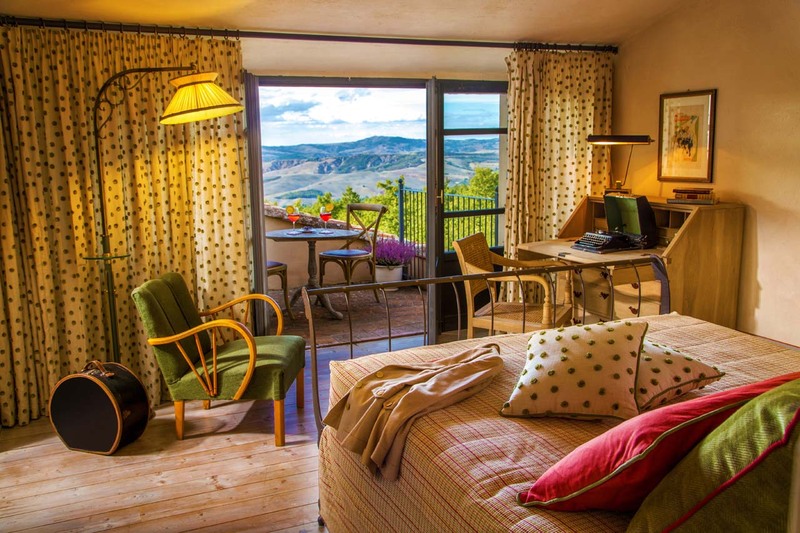 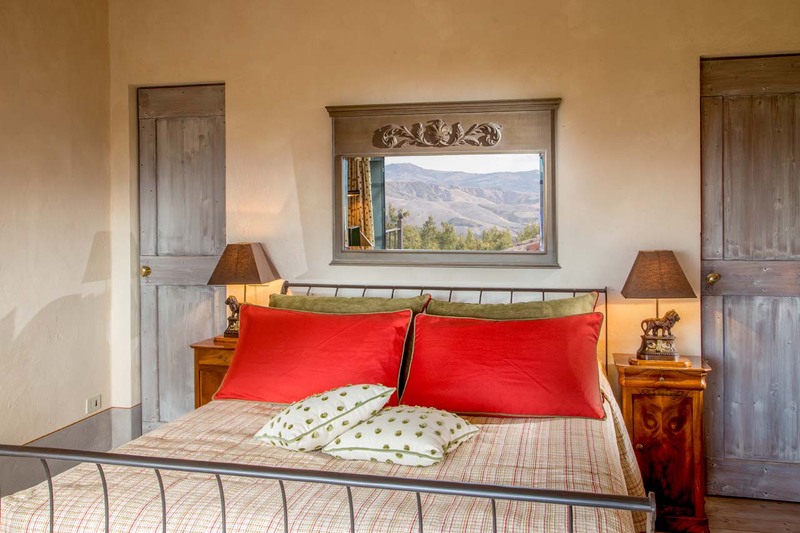 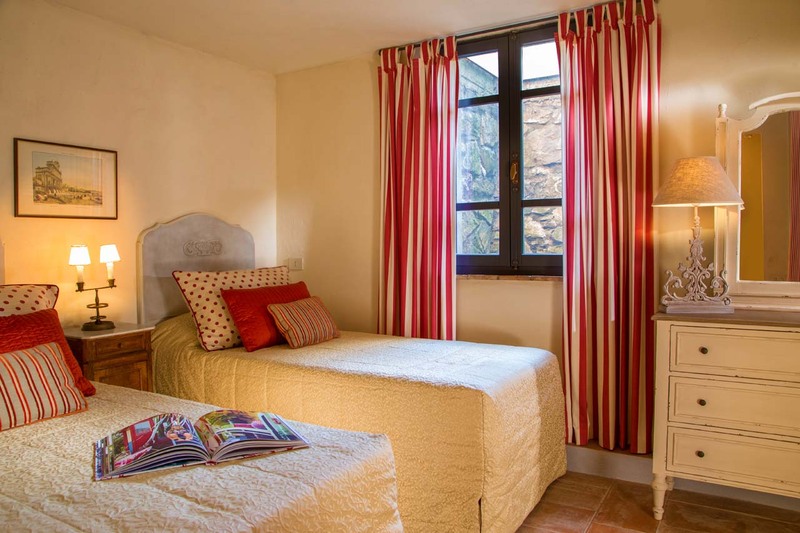 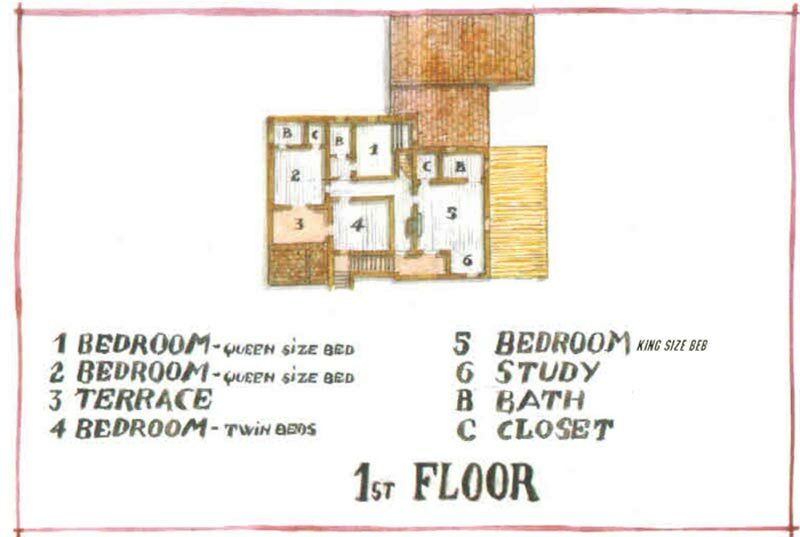 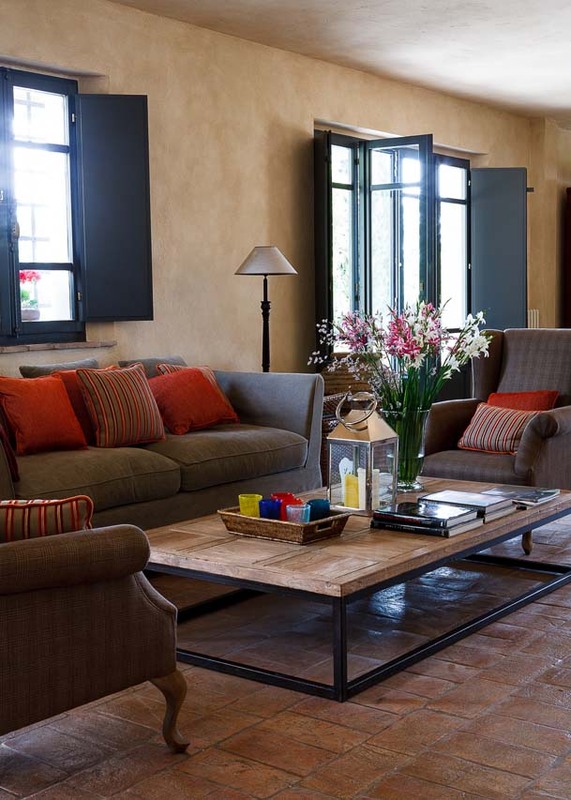 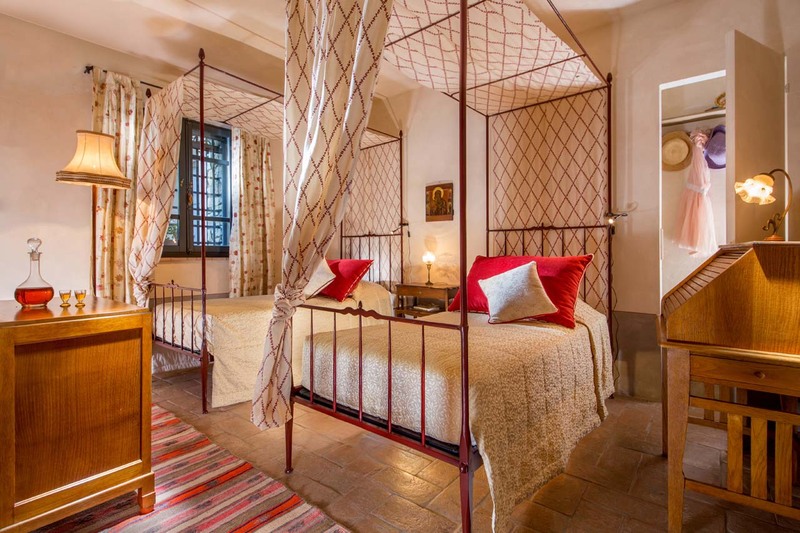 Inside the colors are mute and peaceful and the rooms are beautifully decorated with quality fabrics and antiques. 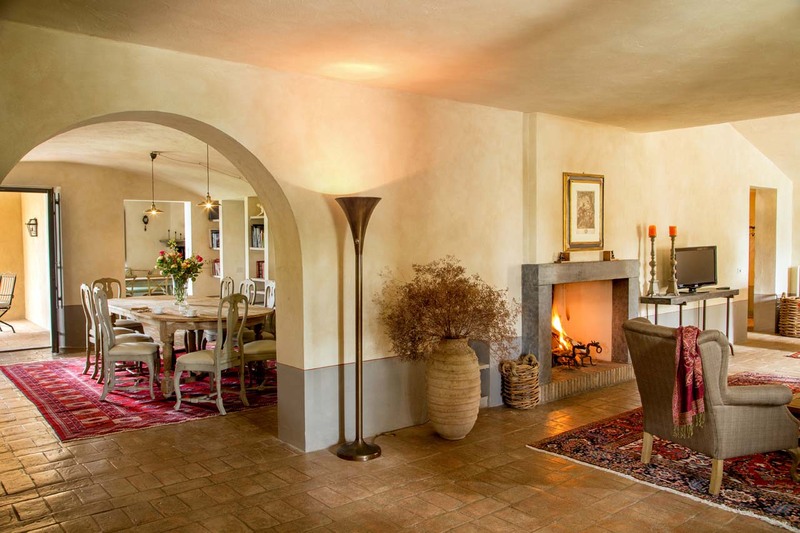 The house features a huge living room with a large fireplace. 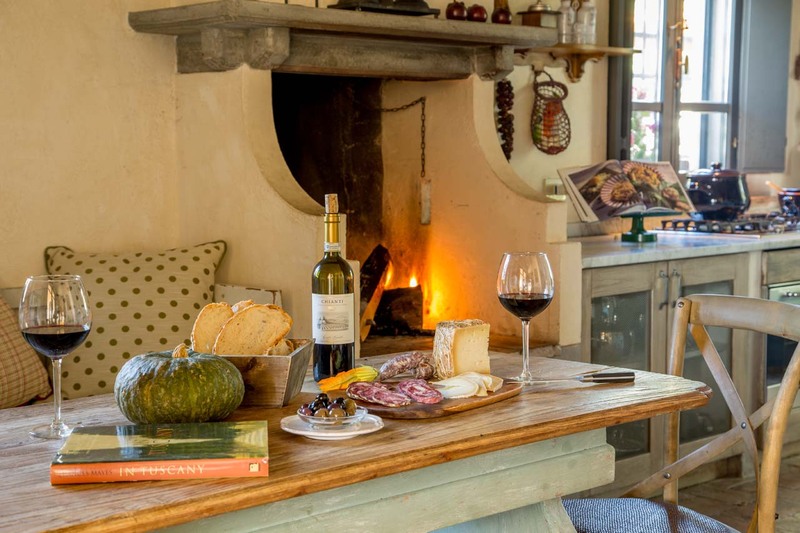 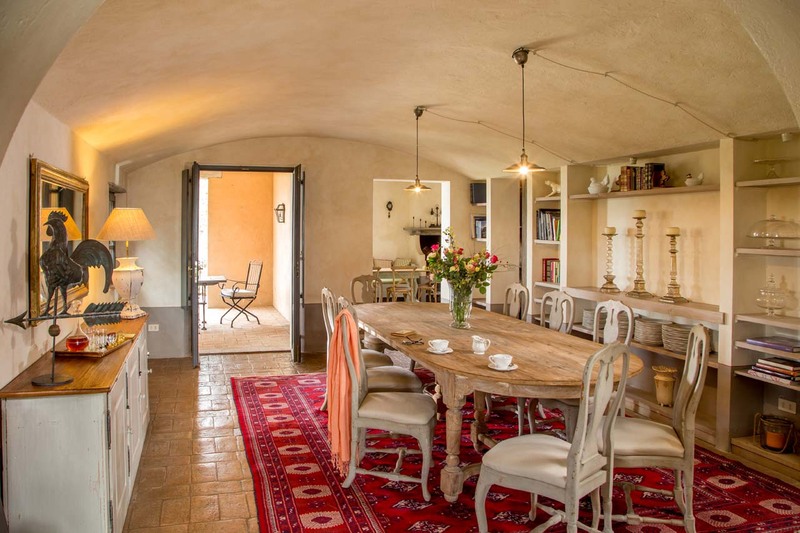 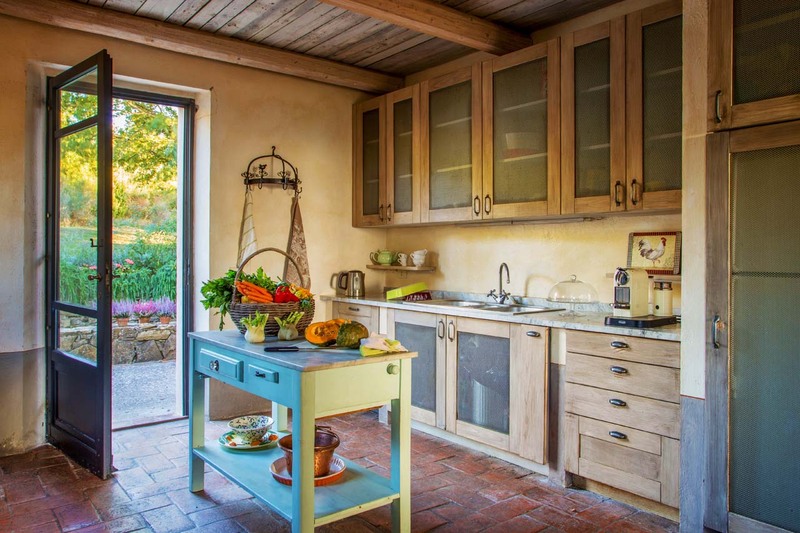 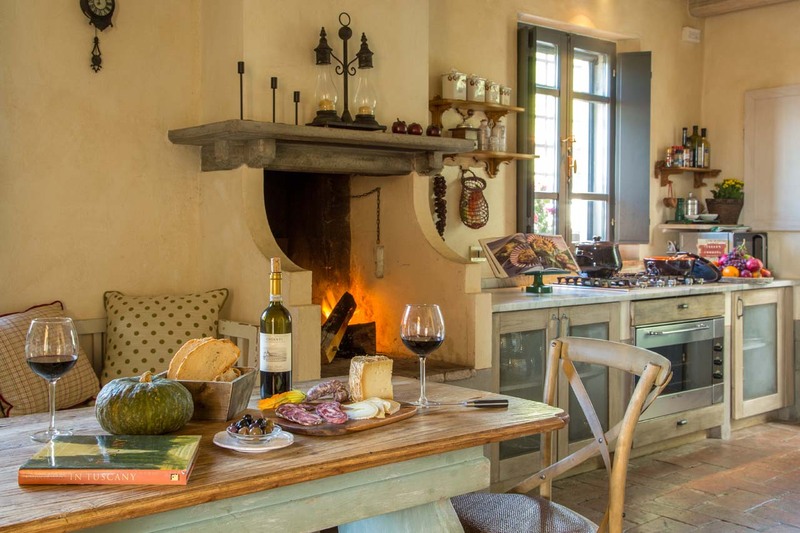 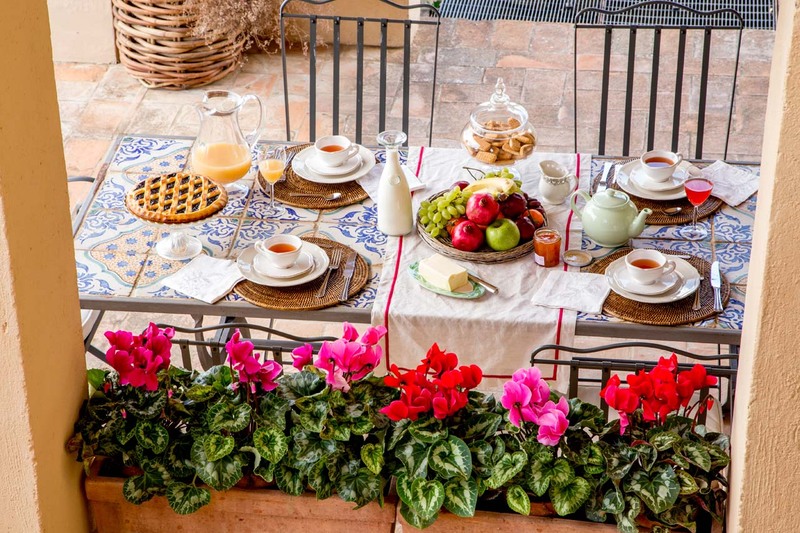 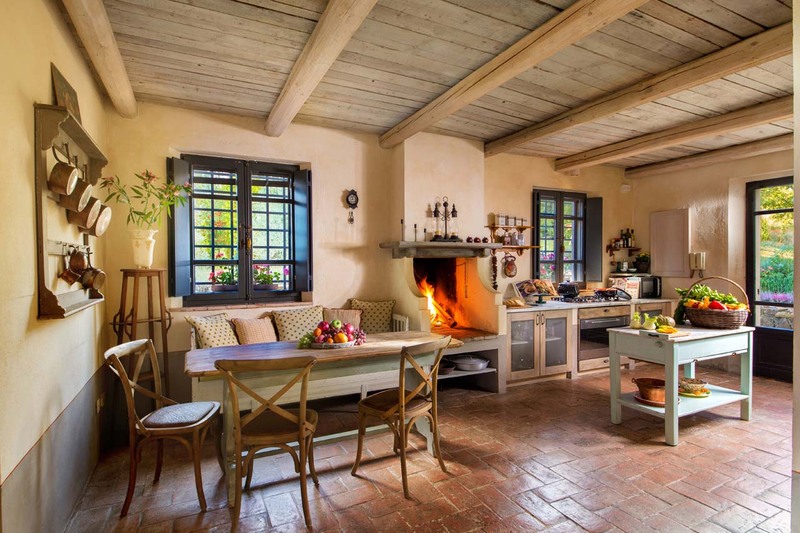 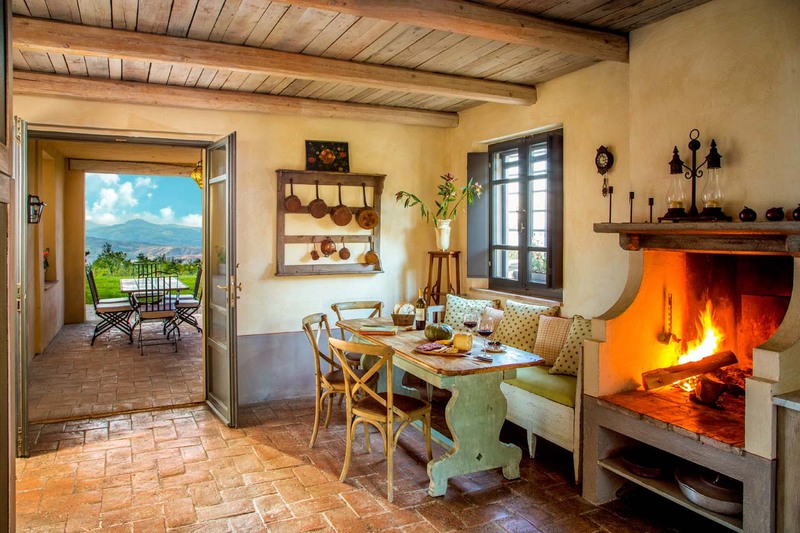 This charming Villa in Tuscany also features a state of the art kitchen. 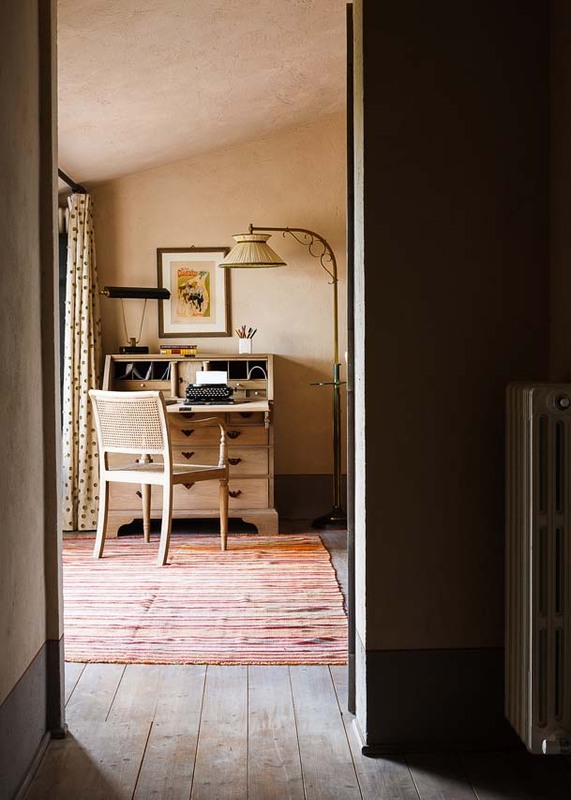 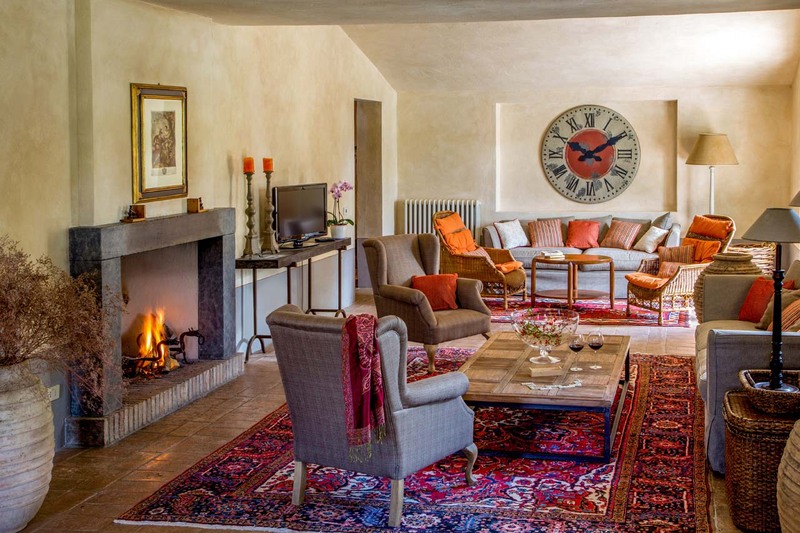 Even with its modern touches the soul of our elegant villa remains that of a comfortable home, with personal touches in evidence throughout, making it a wonderful venue from which to explore Tuscany and Umbria. 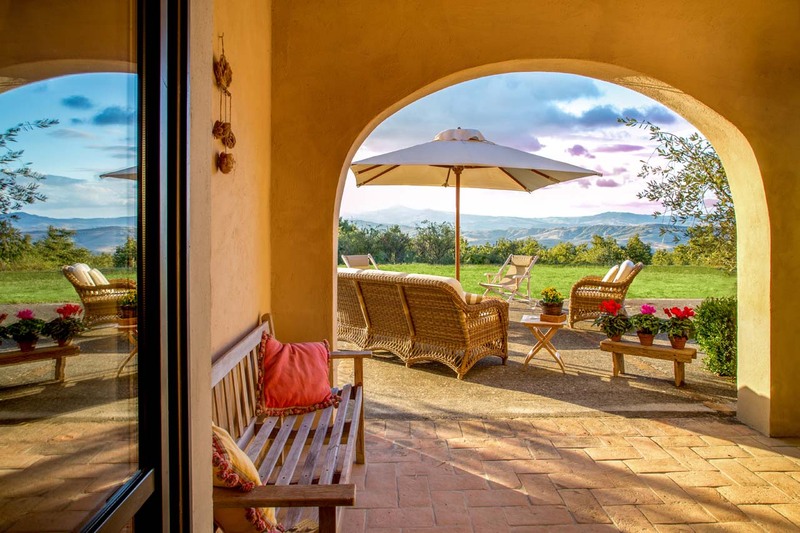 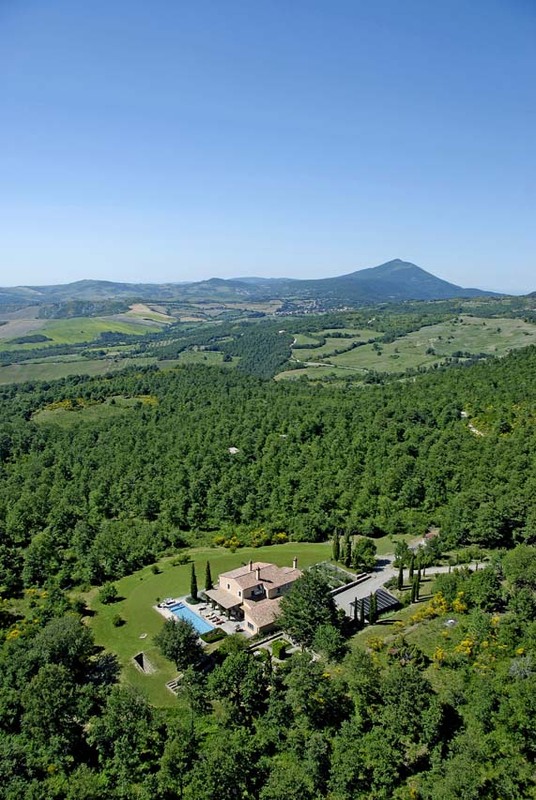 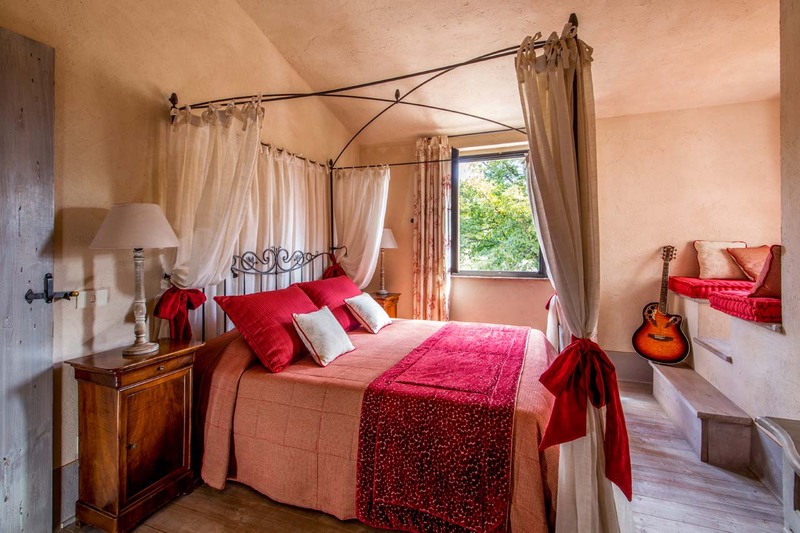 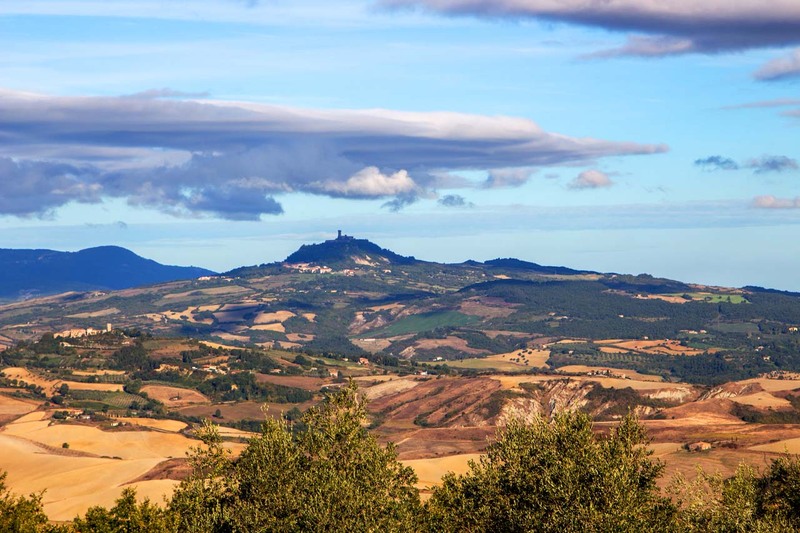 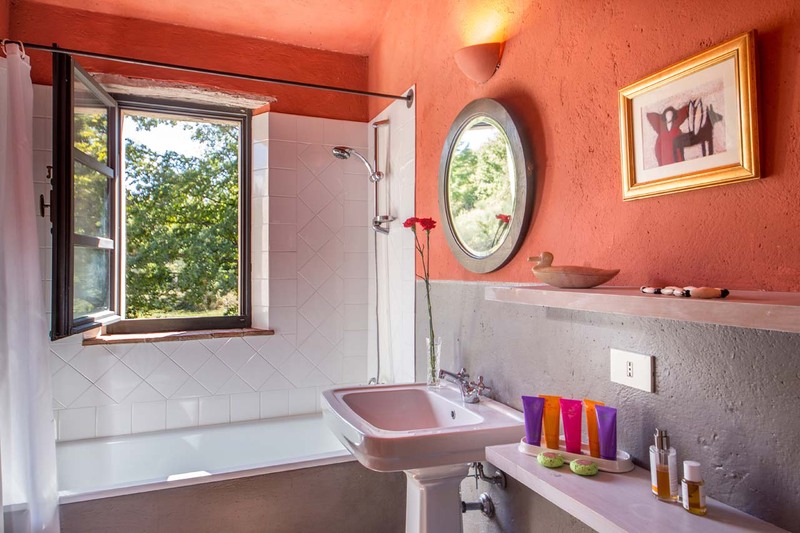 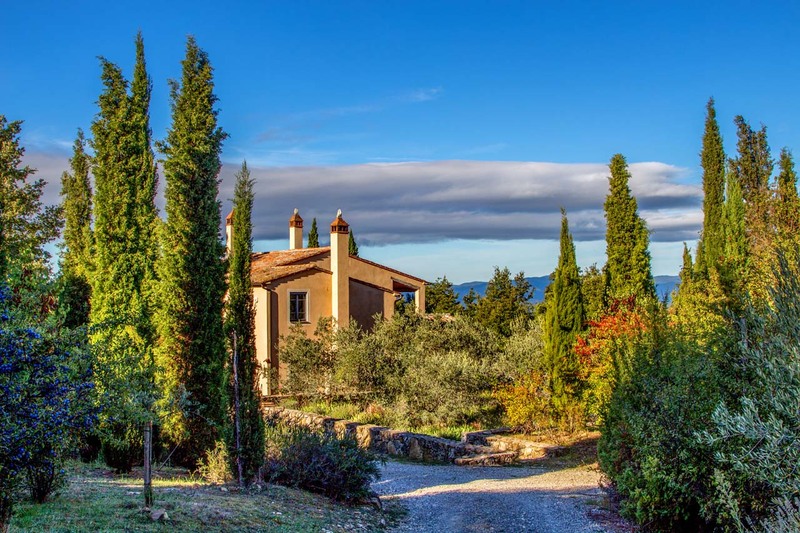 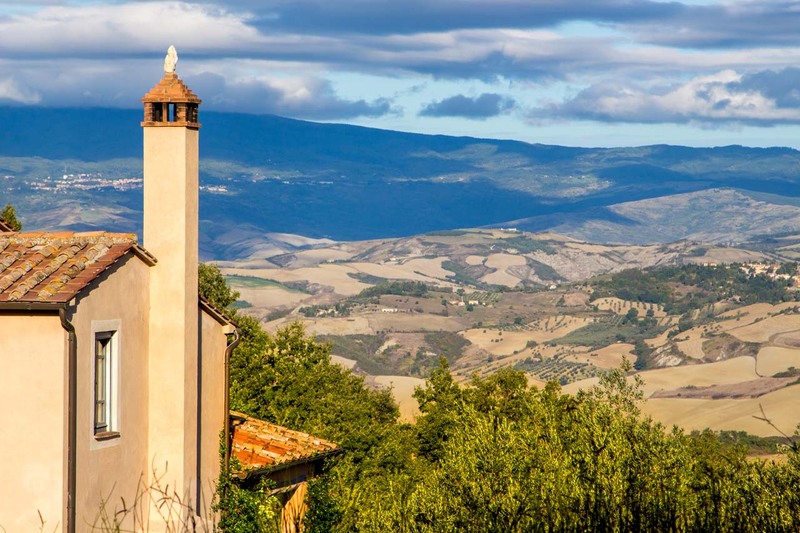 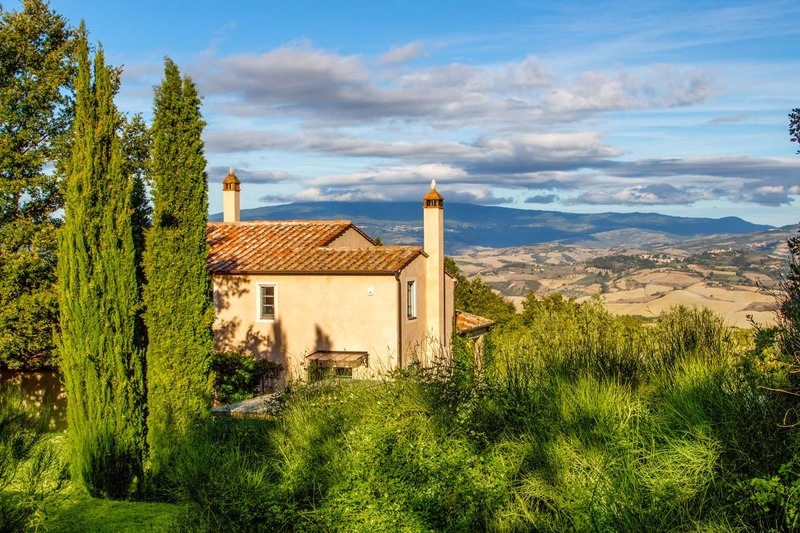 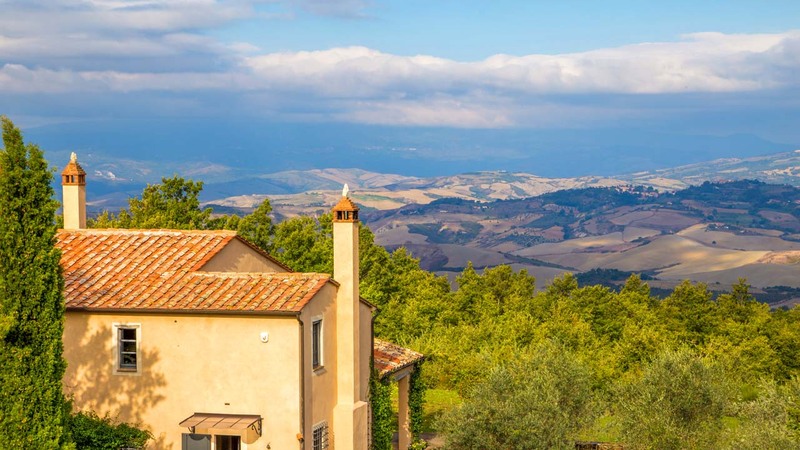 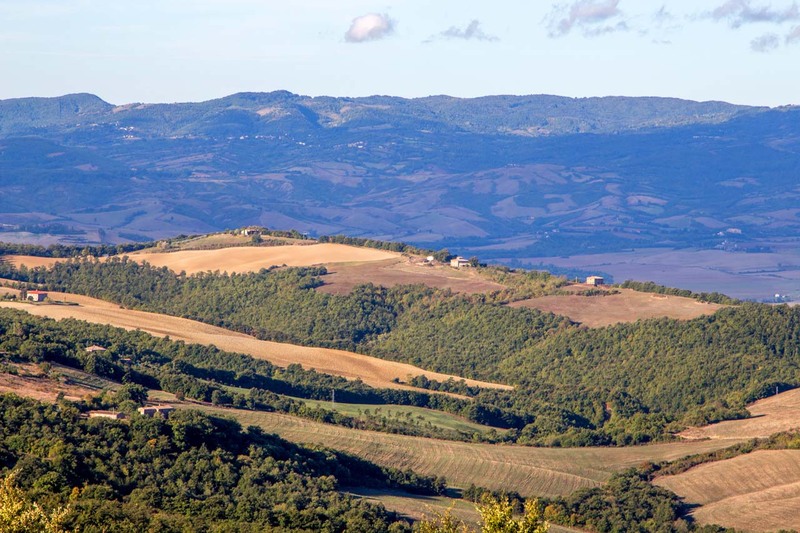 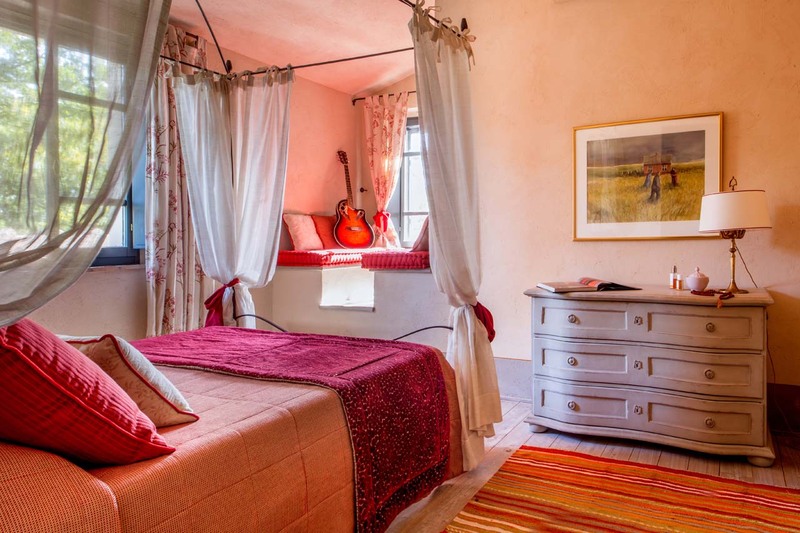 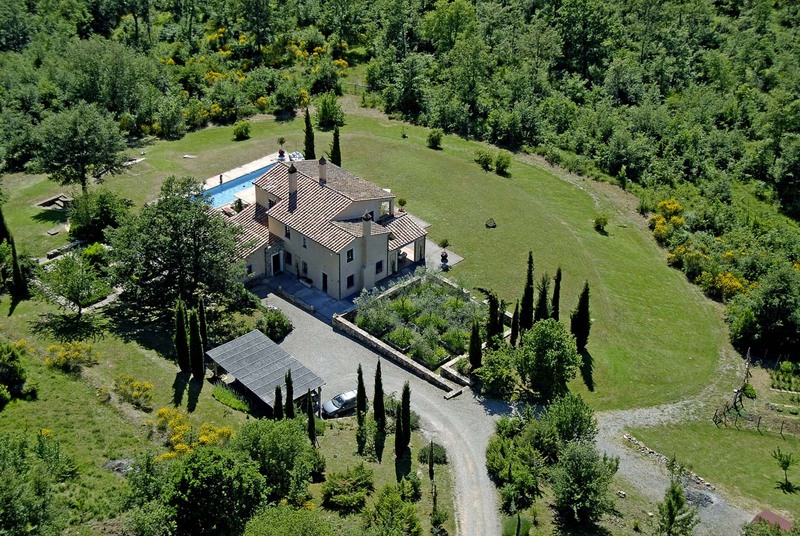 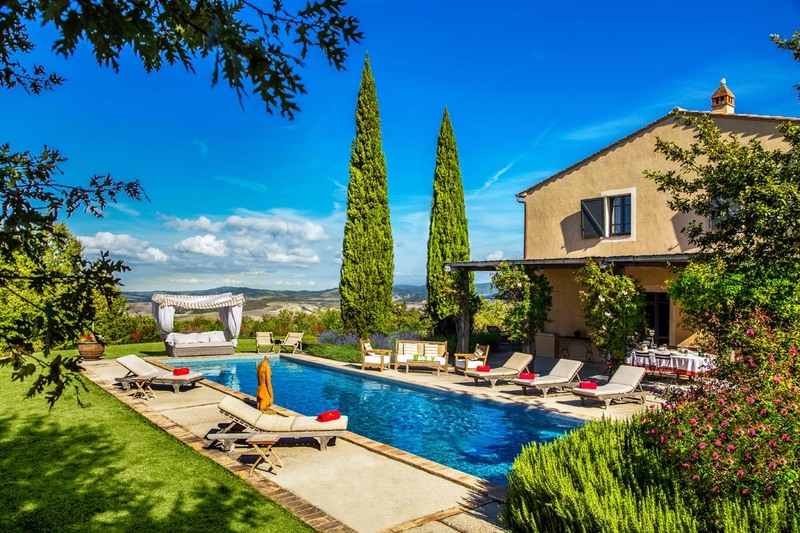 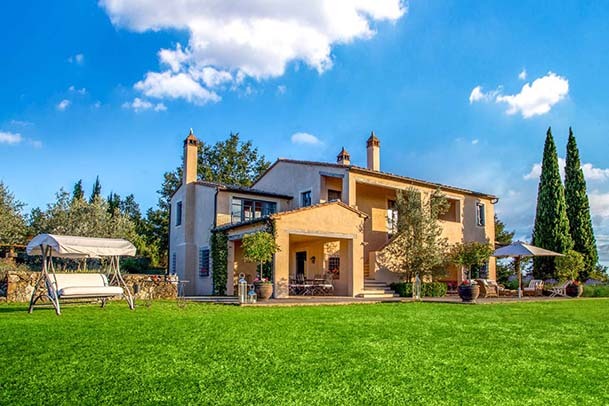 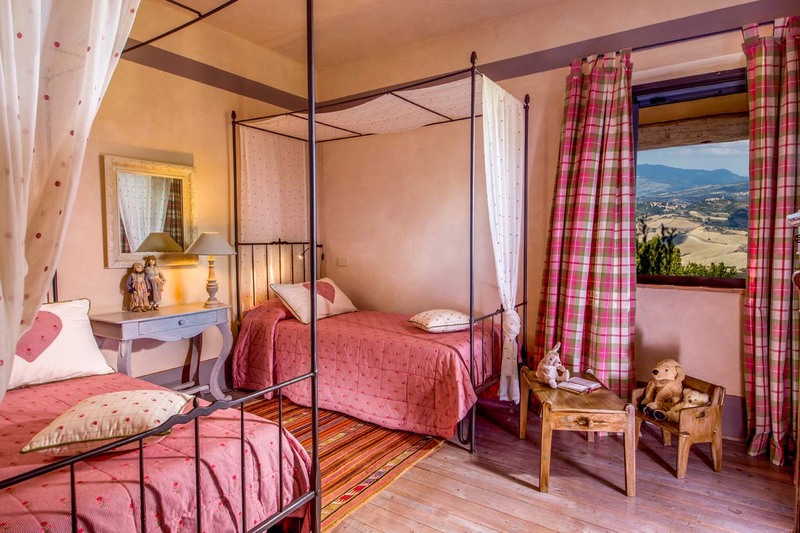 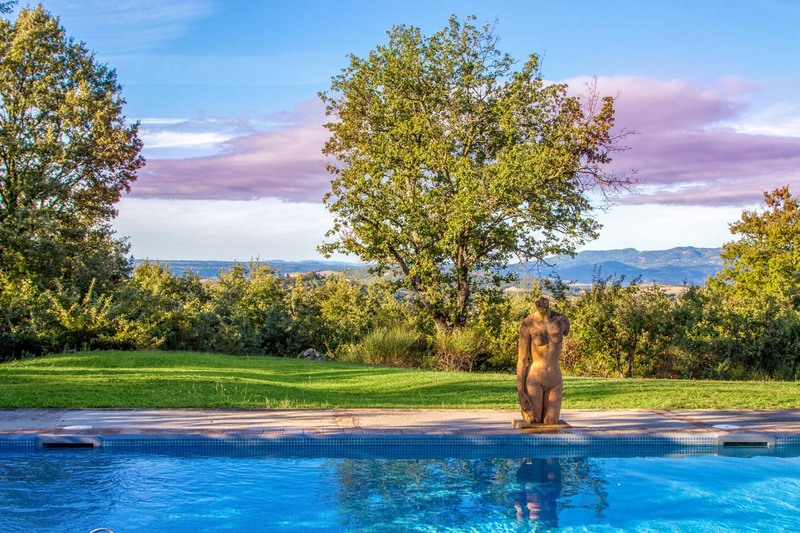 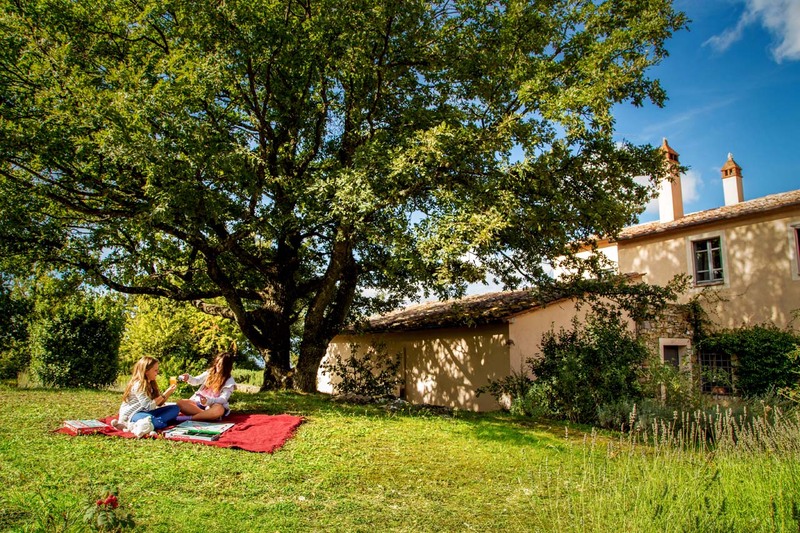 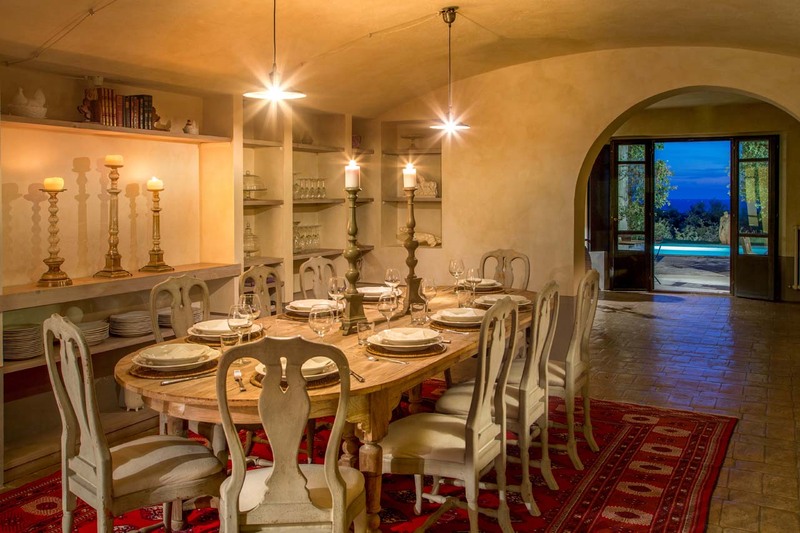 The Villa is completely private, on top of a hill within 50 acres of oak woodland, pastures and olive groves, with expansive views of the Sienese countryside. 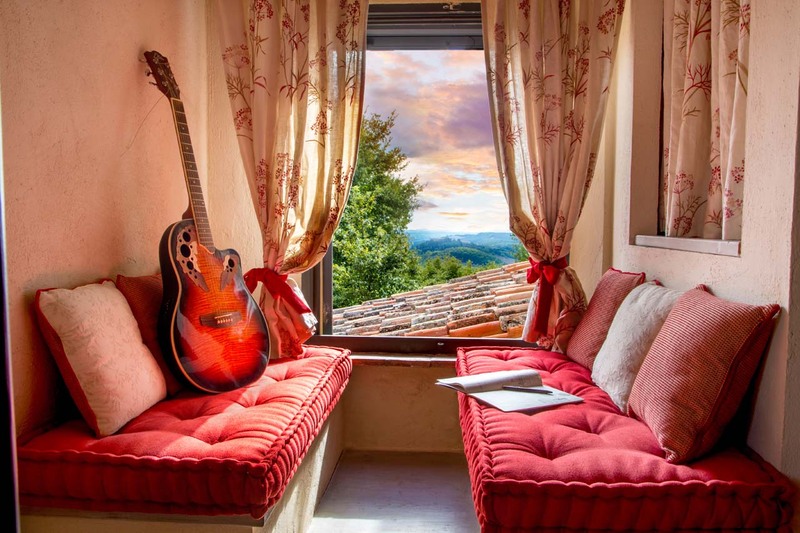 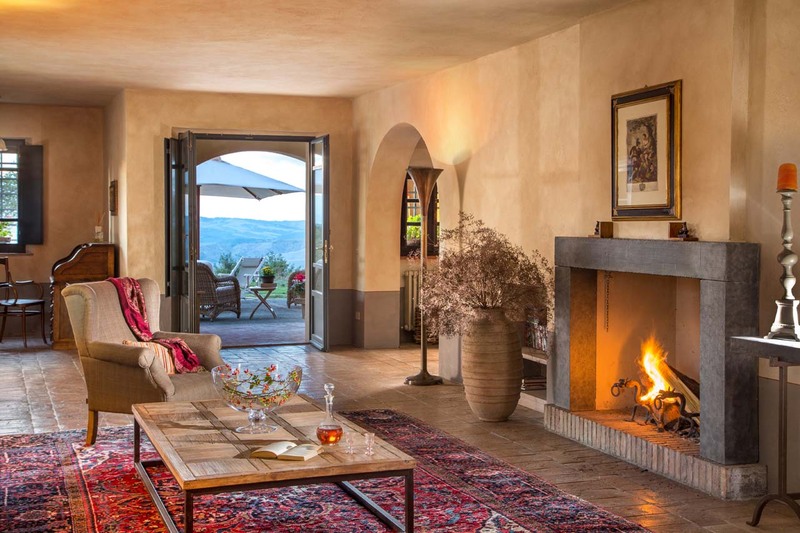 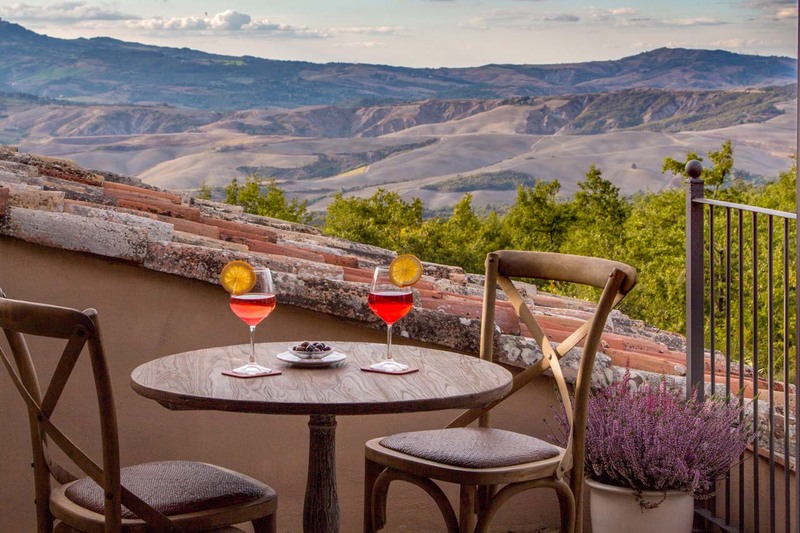 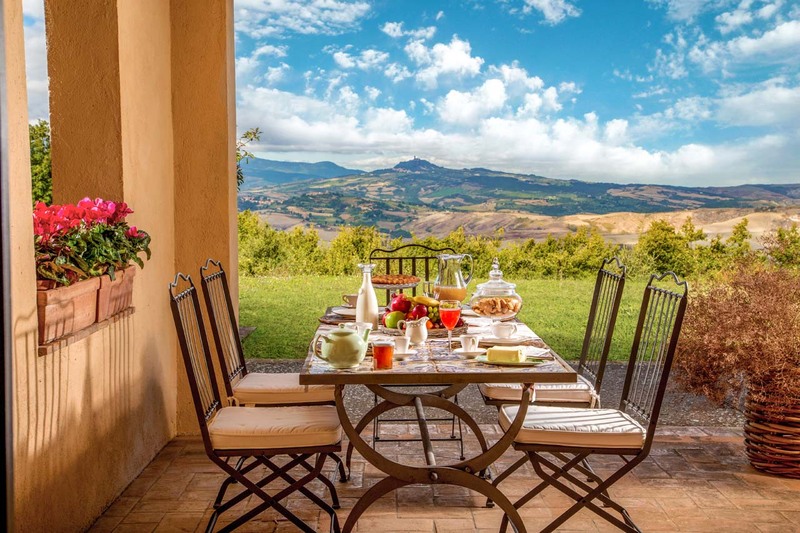 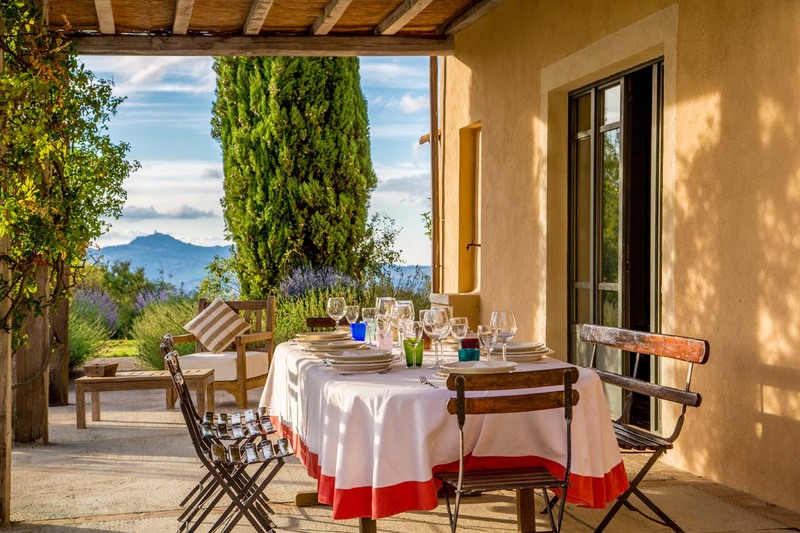 Casanuova Villa in Tuscany makes the most of its expansive views with wrap around terraces, creating intimate areas for dining or just relaxing. 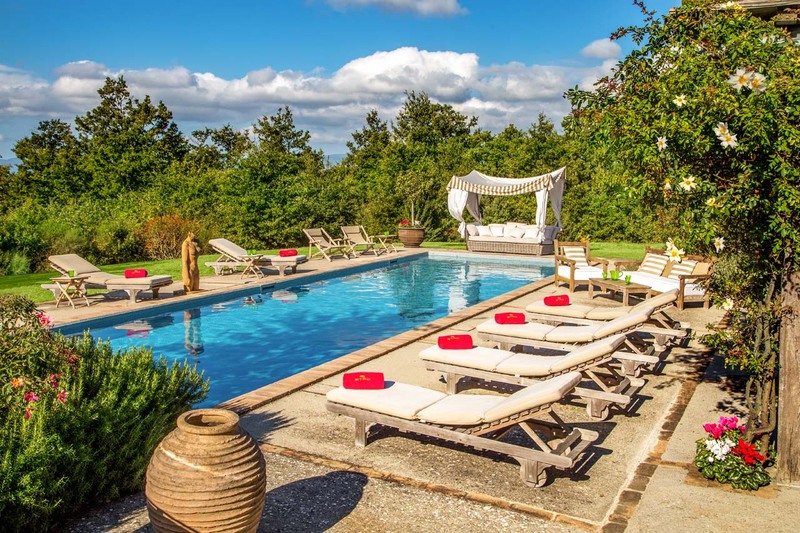 The Villa, also features a heated pool, making it possible to enjoy the water in spring and autumn.